In this topic I will teach you how to get placed higher ( in terms of scoring ) in ourWorld Contests ! Please keep in mind, this thread is merely a guide and will not guarantee first place or anything exciting. 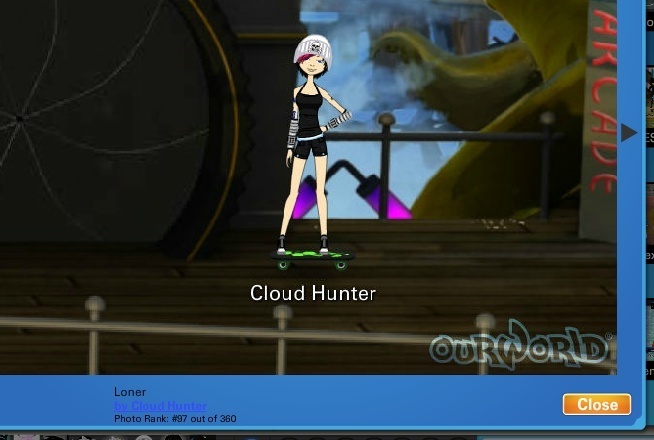 I will using the recent contest Sk8ters as an example. She got placed top 100 and she is not posing and her caption is just pitiful! Imagine what she could've gotten ranked if she posed and gave a better caption! Wow this guide is shorter than I have expected. Here is my Sk8ter photo that I entered in the contest. 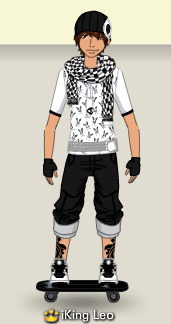 Take a good look at my rank, caption , clothing and pose. You see what I'm doing people? This is called success . If you follow my example you too will achieve greatness ! And a free cookie ! 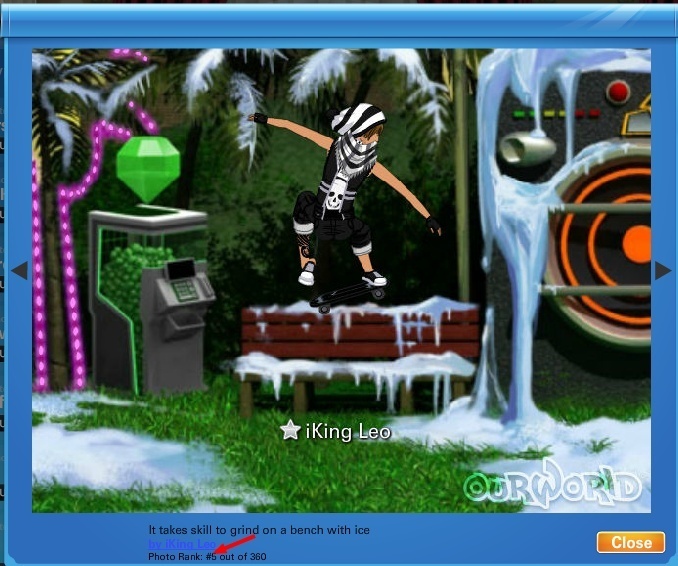 » duz anyone have an Ourworld :D? All content produced on the ourWorld Hub Forums are Copyright © 2012-2014 to their respective owners and may not be reproduced on other websites. Any material can't be copied without permission from Leo or Impreza. If any material is stolen, the FBI will take your laptop.